10:20 AM Happy New Year to everybody. I would like to start off 2018 with something special. I have been working on a project for several months and am happy to finally bring it to market. 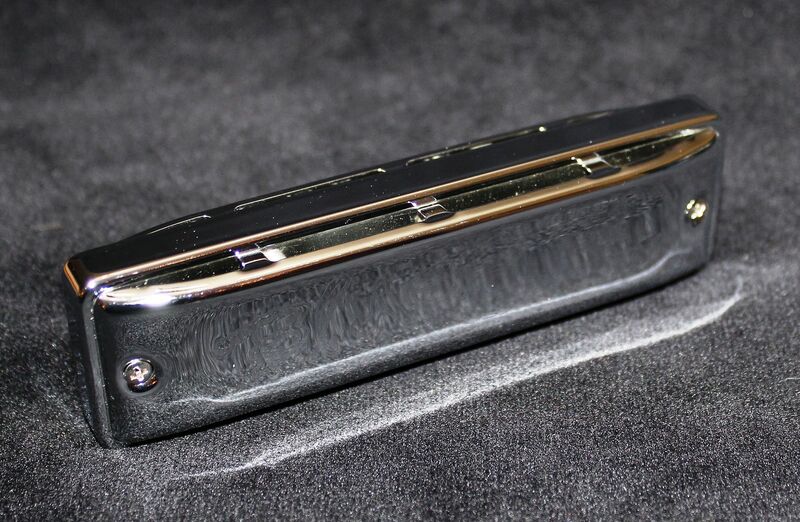 I have about 60 Ready-to-Go Custom Harmonicas featuring Electroplated Combs and Covers. I have a pretty good assortment of Models, Comb Material and Finishes. 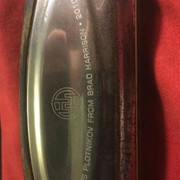 I have Black Nickel-Plated, Chrome Plated and Silver-Plated combs and covers. Some harps are mono-color (same color comb and covers) and others are mix and match. Prices range from $169.95 to $199.95. All the information is available on my website. You can click on any of the photos below and it will open up a photo gallery on PhotoBucket. 10:22 AM Being a Golden Melody man myself (like being a "Dapper Dan man, myself"), I must say that yours looks simply beautiful! 10:23 AM Thank you Iceman. I appreciate the kind words. 10:05 AM I do agree with Iceman, on those Golden Melodies Florida... Lookin' good! 8:40 AM I've got a #001198 B-radical for sale for parts. Reedplates are hardly usable, but there are some of its reeds left there. Covers and comb are in excellent condition. My website. My album with Mikhail Bashakov. Seydel endorser. LoneWolf Blues Co endorser. Harmonica teacher. My facebook. 6:12 PM Jim, just curious what your looking to get for that B Rad. 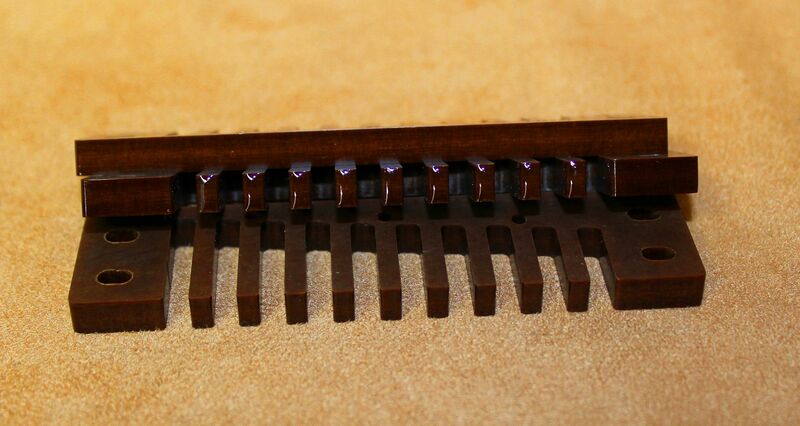 1:15 PM Last year I got a small batch of Linen Phenolic Resin combs made for the Marine Band, Manji and Seydel 1847. The feedback has been very positive. A lot of people have told me that the tone resembles that of wood. The manufacturer uses different materials to fill and strengthen the resin – sort of like using rebar in concrete. In addition to using fine linen fabric, they also use paper, which is available in black and “Natural” which is a nice medium brown. When it is finished nicely it looks like wood. 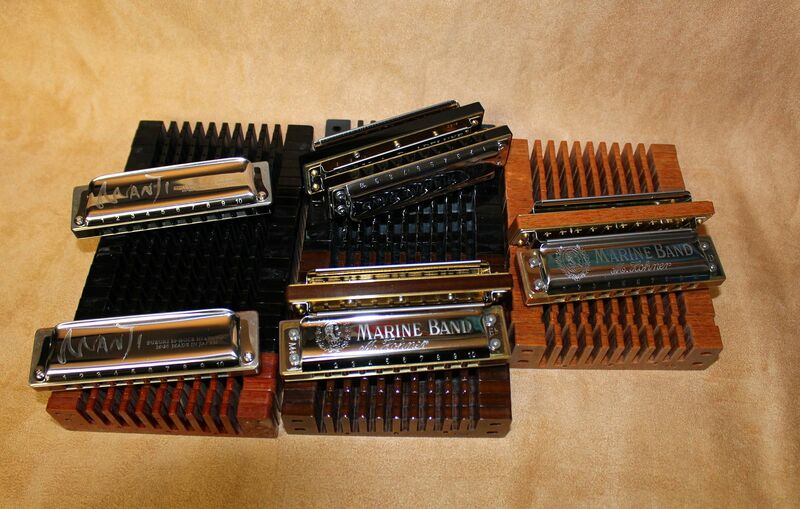 I just finished preparing a batch of Marine Band and Manji combs. All the combs are fine sanded to remove the milling marks and sealed with all natural Zissner Bulls Eye Shellac. The tips of the tines were finished with a thin coat of Liquid Glass which provides an ultra-smooth and slick surface for your lips and tongue. The edges were finished with a few micro-thin coats of wipe-on polyurethane. 9:02 AM I now have Double Reed Plate Low Tuned Rockets available. 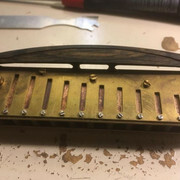 Here are some photos of some harps with Brass Combs. If you like the low keys, these harps are wonderfully responsive and resonant. I will have some photos of them with Aluminum, Corian and Fancy Acrylic Combs shortly. 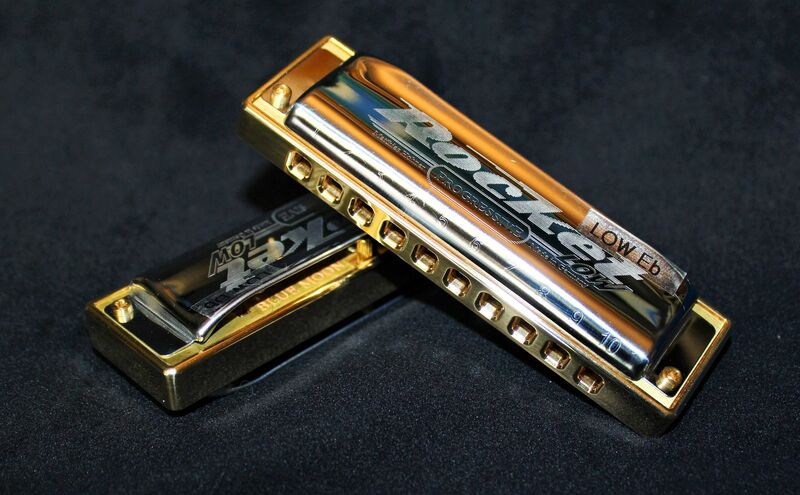 Available at Blue Moon Harmonicas LLC. I have a fresh batch of Ready-to-Go Custom Special 20s available for immediate shipping. Generally, the turn-around time on my custom harps is 6-8 weeks, but you specify the Make, Model, Key, Custom Comb and Set-up. The “trade-off” with these harps is that you don’t get to choose the comb material, color or custom set-up. They are Tuned to Modern Compromise Temperament @ A=442 Hz (which is my Standard Blues Set-up) and are built on beautiful Hot Red Dupont™ Corian® Combs. 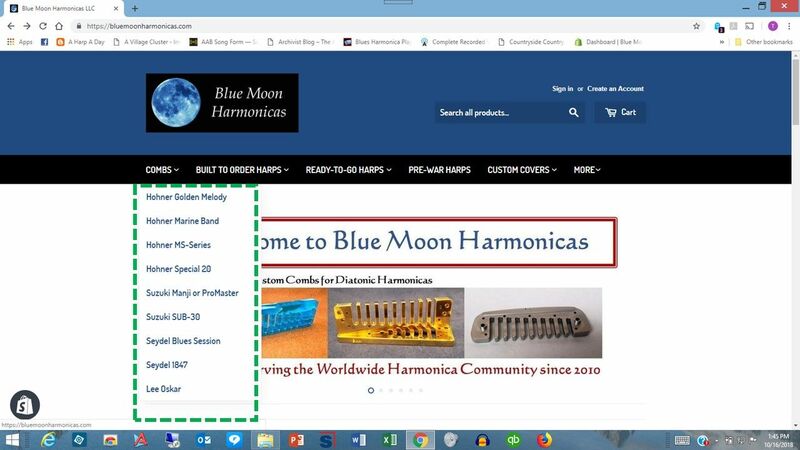 These harps are built to the same exacting standards that all custom Blue Moon Harmonicas harps are built, and are backed by our 100% Satisfaction Guarantee. 4:06 PM I REALLY love these products and the many options from Blue Moon. 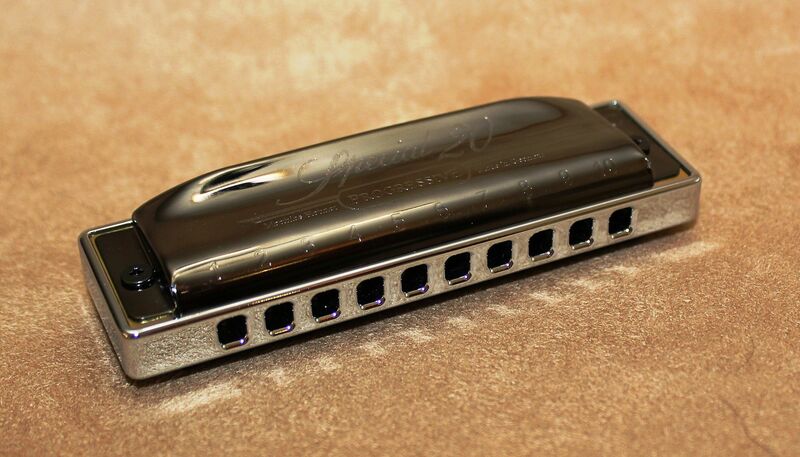 I have recently after much careful consideration left Suzuki Harmonicas Japan so that I may be free to play and/or try any mode/make harmonica I choose. 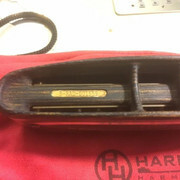 I get almost all my harmonicas from Tom Halchak. I've been playing a lot of Golden Melody's again...I reaklly like the Blue Moon GM combs! 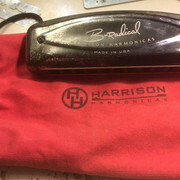 I still of course LOVE all the other harmonicas I have from Joe Spiers, Richard Sleigh and a few Filiskos I scored off ebay but I play a TON of harmonicas from Blue Moon worked on by by Tom and/or by me with Tom parts and I am very happy. I really love all the comb options and non rusting powder coat options. I have lots of different combos I dig for different keys and different frankenstein combos that are a ton of fun but my favorite is the Linen comb and the silver coated plates on a Manji! 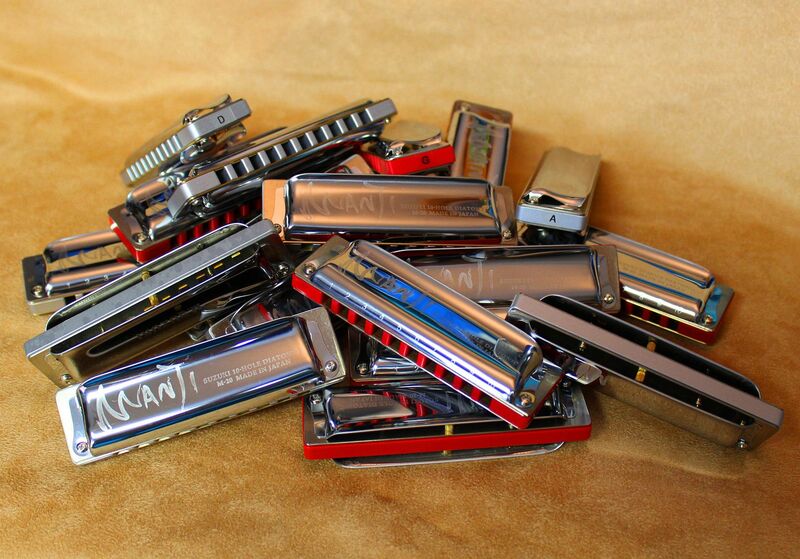 I'll have a new video out soon featuring some of my favorite blue Moon Harmonicas. 8:07 PM I just posted a couple of custom Marine band Harvey Harps on the official For Sale Page. $145 including Postage. Key of A and Bb, Blue Moon Acrylic Comb, full custom. 2:51 AM Great-looking combs Tom :) And welcome back to the free-lance world Jason! Being an endorser to one manufacturer is something many players aspire to, but in my opinion it's a poisoned chalice. Sure you get 'free' perks, but they come with a price. As Jason says, your options on what you can play and say publicly are severely restricted. After a while that really starts to chafe - it's such a relief when you can be yourself again, play what harps you want and say what you really think. The grey area comes with the longevity of the stuff you did for the company when you were with them. I did a whole load of promo videos for Suzuki that they still use widely to sell their harps, online and in shops. I also wrote a lot of the product text that they continue to use in all their brochures (eg. for the Manji). Don't get me wrong: Suzuki paid me well and I was happy to do the best job I could for them while employed by the company. I think I helped them a lot, and I also benefitted in many ways. But whereas in many jobs your association with an employer ends when you leave, the nature of online promotion is that a lot of the stuff you did while in the endorsement deal stays on the web pretty much indefinitely. That still benefits the company even though they are no longer paying for your services, because an association is still implied in the minds of people who don't know the new reality. Even though I left them 5 years ago, many people still think I'm a Suzuki endorser because of those Youtube videos. Likewise Jason's many videos extolling the virtues of the Manji will continue to help sell Manjis for many years to come. 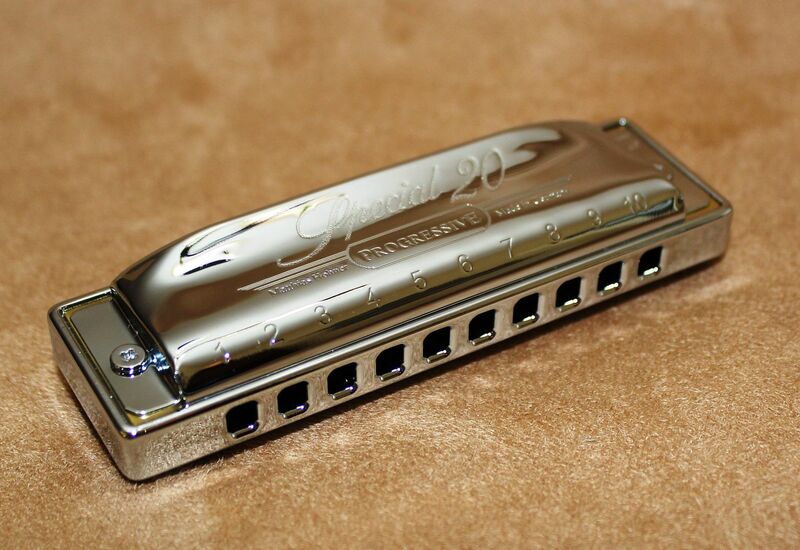 The longevity of content on the internet as well as the longevity of harmonica models plays into the manufacturers' hands here. 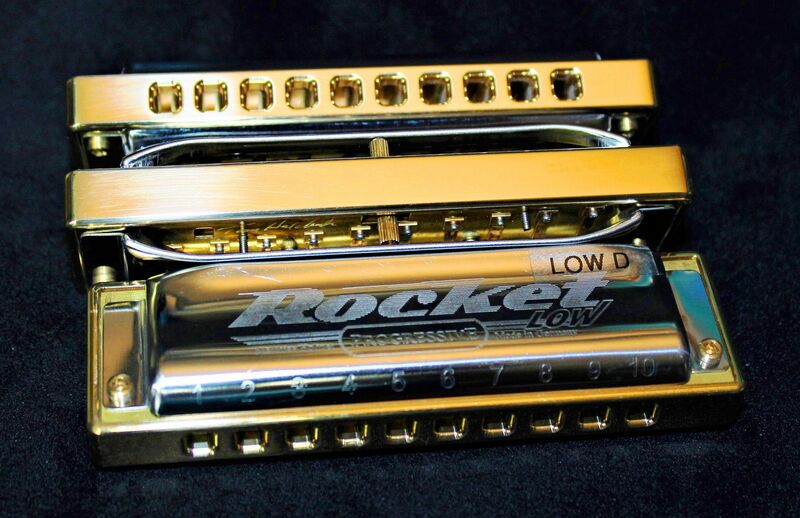 If harmonicas changed shape and look every year like cars or phones, the value of a star player endorsement would be lost as soon as the old model was superseded. But harps live on for decades, even centuries in the case of the Marine Band! As long as a player maintains their profile they will continue to add value in the online space to products they endorsed years before and may no longer use - because the product hasn't changed. 7:08 AM Anyone looking to sell a Joyo American Sound? I know they are dirt cheap to begin with, but thought it was worth checking. 1:39 PM I have a pile of Ready-to-Go Custom Suzuki Manjis available for immediate shipping – no wait. There are twenty harps in total – 10 with Clear Anodized Aluminum Combs and 10 with Hot Red Dupont™ Corian® combs. Keys available include G, A, Bb, C and D. There are two harps in each key with each comb choice – 4 of each key total. To see more photos, just click on the one above. 2:43 AM I have a Voodoo Anti-Feedback pedal for sale. Brand new condition, with instructions. £80 plus shipping. 5:37 AM Wezo 45, combo or head? 4:38 PM Hey Dennis, can you send me an email reguarding amp for sale? 3:05 PM Selling brand new Marine Band in G.
How much should I sell this for? Not getting any traction for $30. 5:28 AM The annual SPAH Convention was recently held August. 13-18 in St. Louis, MO. As always, it was a wonderful time. 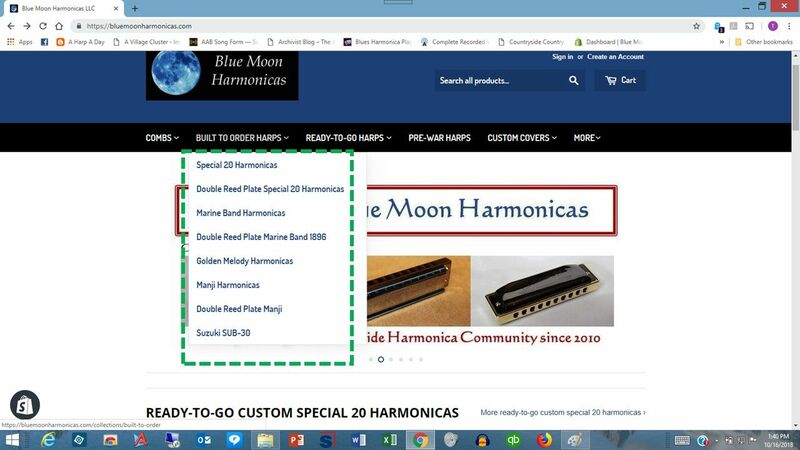 Blue Moon Harmonicas LLC has been a Vendor 6 of the past 7 years. It takes a tremendous amount of work and preparation to get ready for the show. And, to be honest, it takes about a week to recover from the experience when I get home. Unpacking, getting organized again, putting my shop back together, taking inventory and updating the website have also become part of the annual ritual. Every year, I try to bring something new to the show that nobody else has. This year’s convention was our busiest and most successful ever. Thank You to everyone who supported Blue Moon through their purchases or even if you just stopped by to say hello. And a HUGE Thank You to Jason Ricci who worked his tail off for the entire convention, splitting his time between the Blue Moon booth and the Lone Wolf Blues Company booth. You are a tremendous asset to have on our team. One nice thing about doing all the work in preparation for SPAH is that I have lots of goodies left over when I get home. I have just listed about 80 harps on my website that are available for immediate shipping. These include a wide variety of harps – Manjis, Special 20s, Marine Bands, HarpMasters and MS-Series Harps – built on Blue Moon Custom Combs. Many of these harps feature beautiful custom covers – Plated, Powder Coated or the new Hydrographically Printed Covers that I introduced at SPAH. There is also a healthy supply of fully restored Pre-War Marine Bands in the mix. It is said that a picture is worth a thousand words. Well, here’s about 50,000 of them. This video shows just some of the harps available, backed with some Front Porch Blues by Jason. 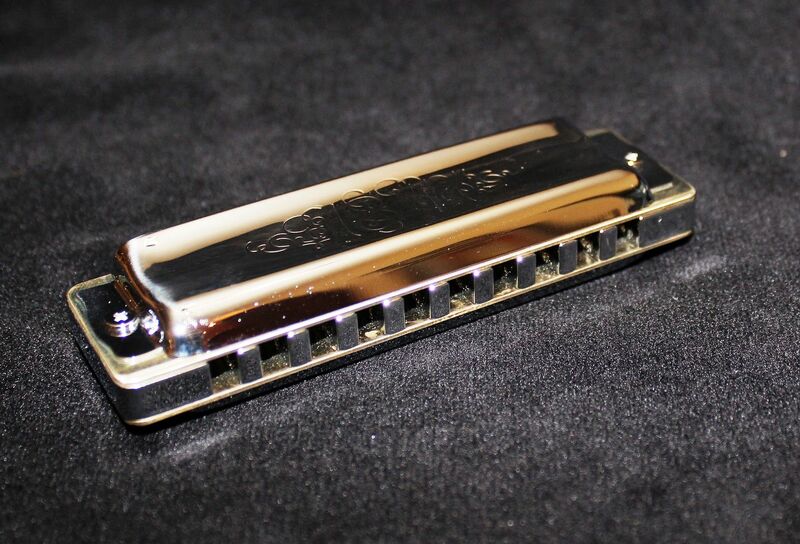 Please visit Blue Moon Harmonicas for details. 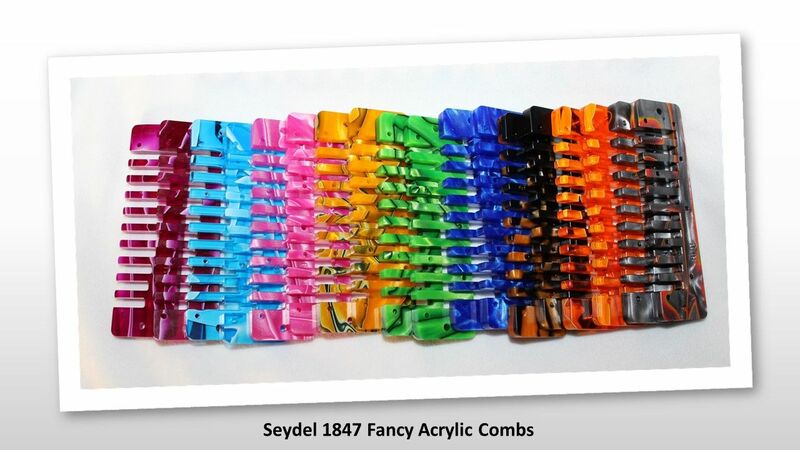 I picked up a small batch (about 60) of Seydel 1847 Fancy Acrylic and Brass Combs from my machine shop, so if you have been waiting for them, they are now available on my website. As of October 1st, I will again begin taking orders for Built to Order Custom Harps. You design it. We will build it. You can choose the Brand, Model, Key, Comb Material and Color, Tuning and Set-up. Models include Special 20, Double Reed Plate Special 20, Marine Band, Double Reed Plate Marine Band, Golden Melody, Suzuki Manji and Double Reed Plate Manji. The Double Reed Plate Marine Bands and Manjis are new additions to our line-up and we will make some of them available as Ready-to-Go Custom Harps. 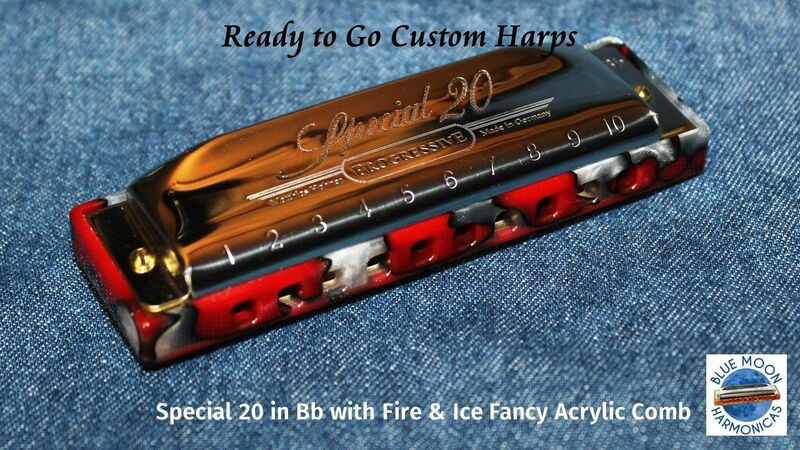 The advantage of the Ready-to-Go Custom Harps is that they we can ship them immediately. You don’t have quite as many options to choose from, but you don’t have to wait. The Built to Order Custom Harps will take 6-8 weeks to be built and shipped. More choices, more options, but it will take some time to build it. 6:50 AM Just a quick announcement. 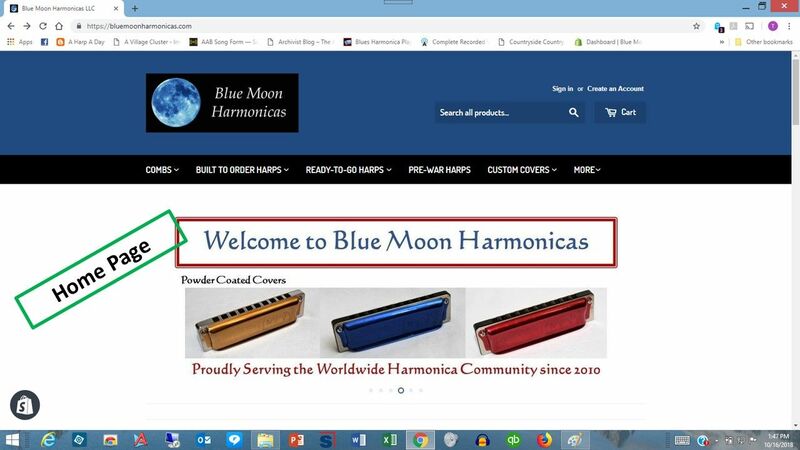 I have updated the Blue Moon Harmonicas website to more accurately reflect our new business model moving forward. 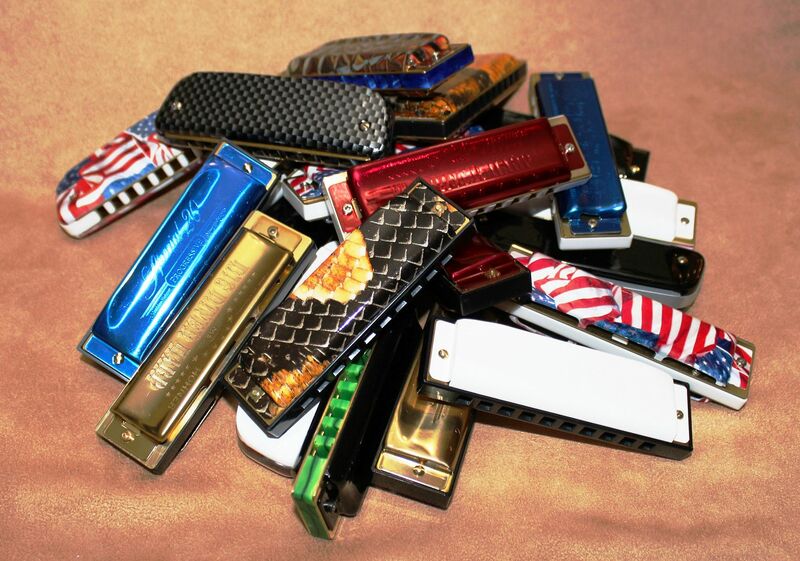 We now offer a wide selection of Ready to Go Custom Harmonicas AND Built to Order Custom Harps. 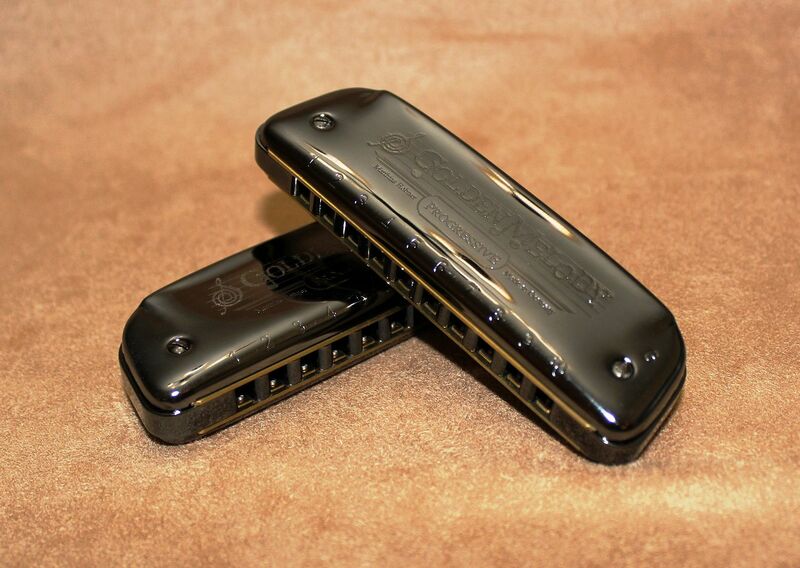 The Ready to Go Harmonicas are pre-built using the most popular models, keys and combs and are available for immediate delivery. 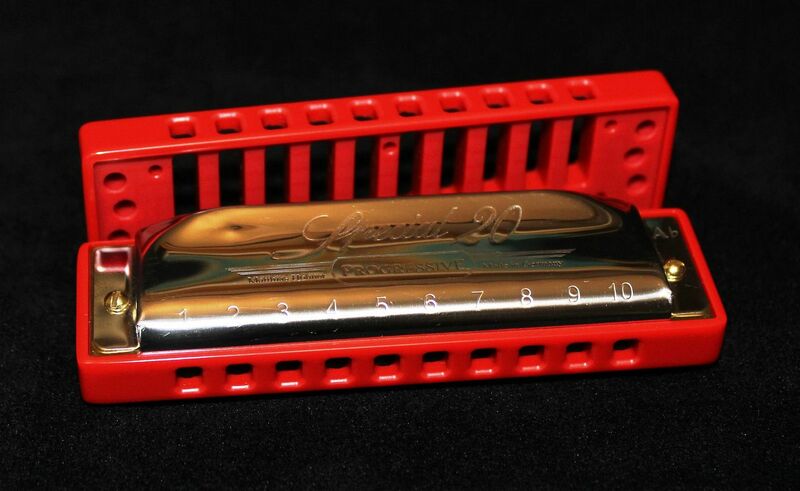 We currently have more than 70 Ready to Go Harps listed on our website (with more on the way), including Special 20s, Manjis, Golden Melodys, HarpMasters, MS-Series Harps, Pre-War Marine Bands and - for the first time - Double Reed Plate Special 20s and Double Reed Plate Manjis. Double Reed Plate Marine Bands are on the way too. If you don’t find a Ready to Go Harp that suits your fancy, that’s OK. We will build a harp to your exact specifications. You can choose the Brand, Model, Key, Comb Material, Comb Color, Setup and Specialty Tuning (if any). This will include the above mentioned and newly introduced Double Reed Plate Manjis and Double Reed Plate Marine Bands. The website is totally menu driven and very easy to navigate and you can always just search for anything that you don’t see. 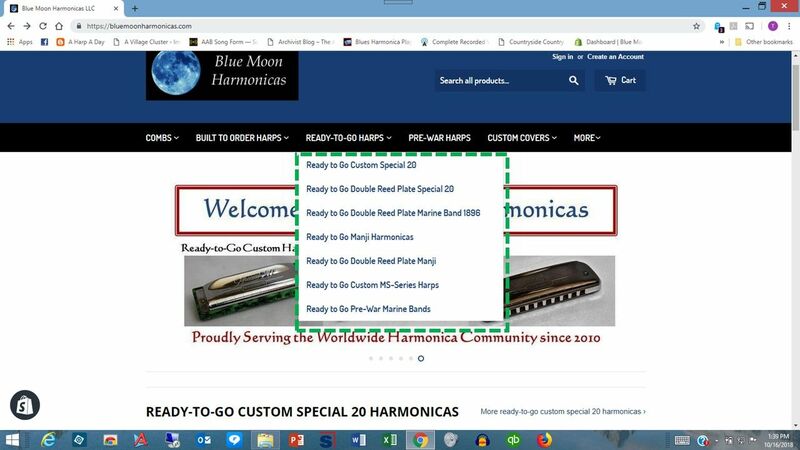 Here are a few screen shots and if you click on any of the photos you can see some new Ready to Go Harps that we have just listed. 4:46 PM Squeal Killer with power supply, like new. $175 shipped in the continental USA. 4:49 PM Shure 533sa. Excellent hi z stick mic. $50 shipped in the continental USA. My email is in my profile. I have a new batch of Ready-to-Go Custom Harps available. I had hoped to make these available before Christmas in case anyone needed a last-minute stocking stuffer, but it just didn’t work out that way. It will be a great way to start out the new year. That said, I have an assortment of more than 60 harps available for immediate delivery. 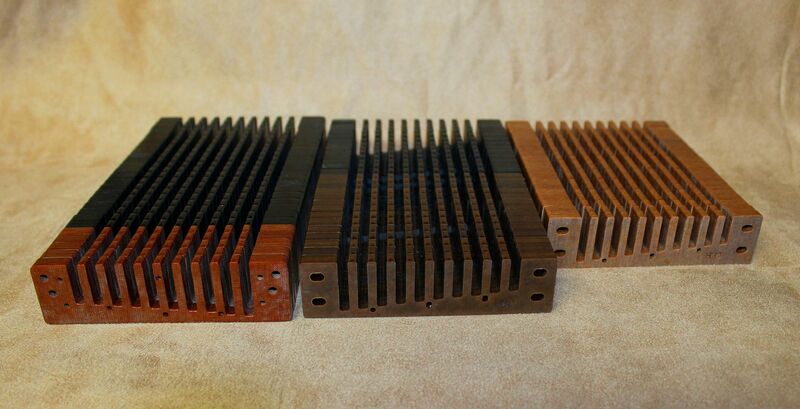 I take full advantage of the wide variety of Custom Combs I make – Corian, Fancy Acrylic, Anodized Aluminum, Chrome Plated Aluminum, Brass and Phenolic Resins. Some of the harps feature Powder Coated Covers or Hydrographically Printed covers. Some harps are priced as low as $65.00. Most are in the $150 - $200 range. As always, all harps come with a 100% Satisfaction Guarantee. If you don’t love it, I’ll buy it back from you. Domestic Shipping (U.S) is only $5.95. International Shipping anywhere First-Class Mail is delivered is only $15.95. 12:21 PM GETTING OUT OF THE HARP PLAYING BUSINESS SALE! ALSO have a Seydel Saxony Orchestra model which is basically new, except I took it apart (don't ask) and messed up one of the windsavers. Replaced the windsaver but now a couple of reeds are wonky. If you're handy you could take this harp off my hands for $125 (they go for about $400), fix it up -- off you go, a great deal! 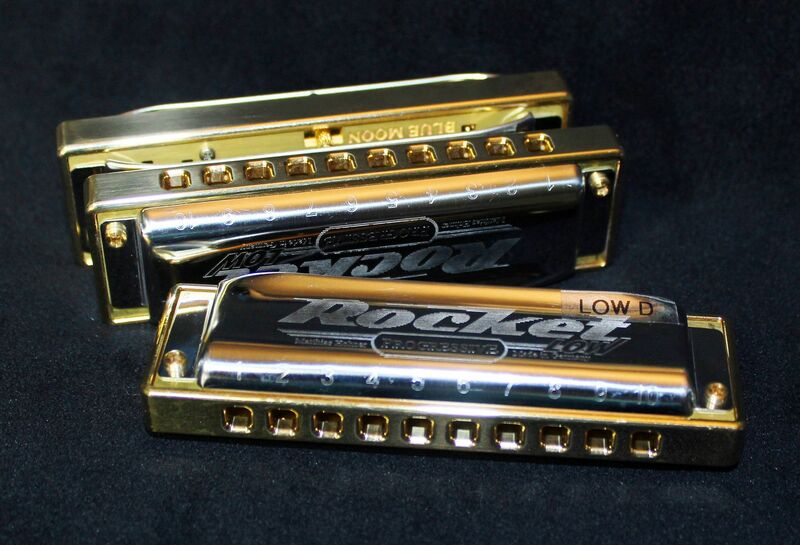 Any chromatic sale comes with one pick from the "Chromatic junkyard" -- includes 1 x Hohner 280/64, 4 x Hohner 270, 2 x Hohner 260. All in varying stage of need, from 100% gig worthy to needing substantial work. Bonus Suzuki Overdrive in D -- super loud! Marine Band G, Stage 1, super loud! F, E, D, B, Bb, A, Ab; mix of eras, no new ones, all play decently. May have some extras to throw in as well. Any diatonic sale comes with one pick from the "Diatonic junkyard" -- includes mostly Hohners and with some Seydels, all in varying stage of need, from 100% gig worthy to needing substantial work. All prices add $5 for shipping, payment through PayPal freinds/family, Zelle, etc fee-free transaction. I want/need to get rid of all this stuff, prices are super low for quick sales. Pics available later on tonight.